Chris Young is a 30-year-old male, who was sent to life in prison back in 2010 after Young was convicted for possession of marijuana and cocaine. After eight years into his life sentence, Kim Kardashian has heard about his case, and is doing all she can to get him freedom. Kim is no stranger to helping out those in need, as back in June, she got Alice Johnson clemency, who served 20 years in prison for a similar offence to Young’s. Personally, I think that getting life for a drug related offence is pretty harsh, and it seems like Kim thinks that it’s very unfair too. According to his lawyer, Brittany K. Barnett, she believes that Young has been treated unfairly throughout his trial, and that he is suffering unspeakable cruelty by not being allowed bail, therefore never being able to walk as a free man. There has been a lack of human rights within this case, and it is believed that the prosecutor in this case had malicious intent. When Young was first convicted, he and 27 other men were arrested as well. However, most of those people took the 14-year plea deal, and began serving their sentences straight away. Young, however, thought the plea deal was too long, and decided to go to trial, with the hopes that he would get a shorter sentence. Unfortunately, he and two others got life sentences, as the jury found them guilty. 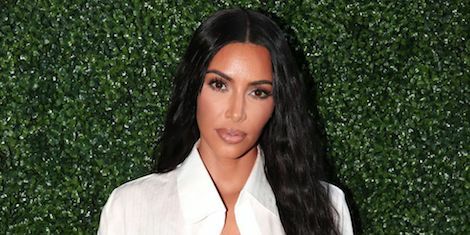 Kim Kardashian has been applauded for using her platform to spread the convicted’s stories and help those who need justice. Although many people may laugh at her, and see Kim Kardashian as a reality television star, who has no idea about this sort of thing, people are forgetting that her father was a very well respected lawyer, so we’re sure she knows what she’s doing. As a proponent of criminal justice reform, I applaud the efforts of @KimKardashian and the efforts of many Americans to ensure cases receive a fair review and reduce mandatory minimums while promoting evidence based sentencing– as mentioned in the bipartisan SAFE Justice Act. Kim has also participated in an interview about wrongful conviction, and it is available to download as a podcast here. No matter what you think of Kim Kardashian, you have to respect her for putting all her time and effort into helping those who need justice. She has taken her A-list status and allowed those who don’t have a voice, to be heard in society. Do you think Kim Kardashian is putting her status to a good cause? Do you reckon Chris Young has been unfairly prosecuted? Let us know in the comments, or on Twitter at @WhatsTrending.